We've seen Google Knowledge Graph ads before but those ads lead to local results and were more subtle. 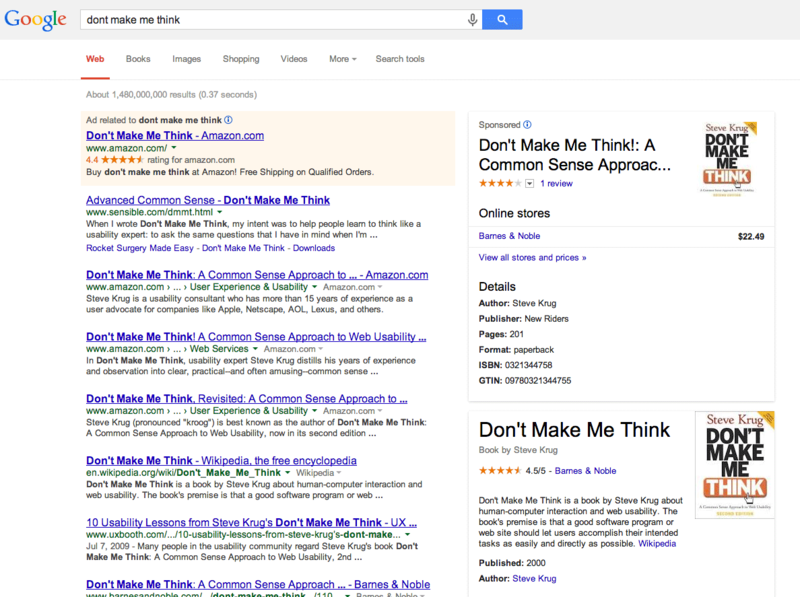 Aaron Wall spotted a new format for Google Knowledge Graph ads for a search on [dont make me think]. 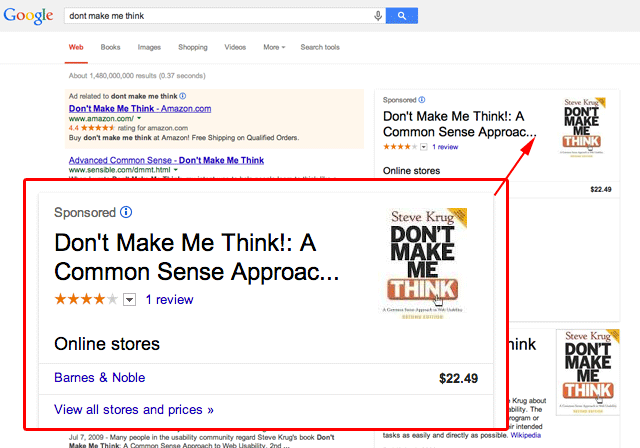 So here Google is pushing down the main knowledge graph, sticking a Google Shopping paid result at the top and calling it "sponsored."